‘LEADER’ how does one define a leader? 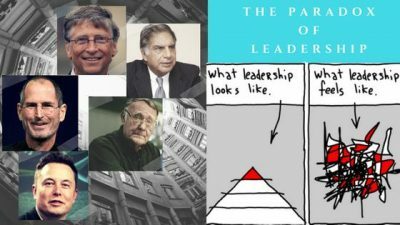 Should a leader be as ambitious as Steve Jobs in his early 20s or as Bill Gates in his 50s or humble and dynamic as Ratan Tata? 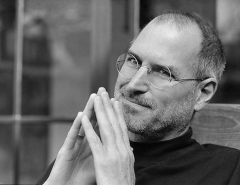 Should a leader be frugal as Ingvar Kamprad (IKEA Fonder) or extravagant as Larry Ellison (Oracle Founder) or an innovative entrepreneur like Elon Musk, the concept of leadership is as intriguing as the questions above but the answers are inspiring. Ask ten people in a room what leadership is and what defines a leader and you would probably get 12 different responses as two might change their statement in the course of the discussion. Being a leader in today’s world is multidimensional and so are the paradoxes in relation with it: unpredictable, unstable, non-linear, and fast-paced; that are inevitable. Can a leader stay true to his character, where diplomacy is the norm? Should a leader lead and be the knight in shining armour: a saviour or support his team from behind, scrutinizing every act decision proactively? Should he trust his team whole-heartedly or evaluate critically? Let us say if he shows criticism not to demean his team members but to get the best outcome. How would that influence his career and his relationship with the team? Let us say an employee X from a start-up whose work culture varies diametrically from an organized work culture, joins an MNC. He is well accustomed to working under pressure, handle decision-making situations and brainstorming while working in the start-up. When he tries to apply those in his new job that is the later company he has joined, he is bombarded and cluttered with questions, as being impromptu is unorganized unlike organized decision making in the MNC. Here he faces a paradox “unstable”. Maintaining a strong sense of self while demonstrating humility for productive narcissism may be counter-intuitive but can safely co-exist between both leaders and peers. To resolve this paradox, a leader therefore, must, exert his own sense of self, while recognizing weaknesses and the value of others and practice empowerment. Coming to one more paradox, leaders today feel like they need to behave like heroes and exude confidence in the anxiety-inducing times. However, while changing the course when insurmountable challenges arise, confidence is not same as arrogance. In this context, Leadership requires the ability to take advice from many quarters, ask for help when needed, and make decisions based on a variety of inputs. People face such paradoxes and gradually climb up the corporate ladder, which aligns the leader and his job role streamlining development, which ultimately pivots the organizations’ growth to the zenith.